Americans like to complain about how much the government intrudes on their lives, but that does not mean they don’t want it to solve their problems. Just ask Jimmy Carter. 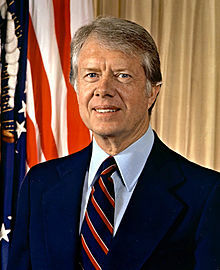 The second 1970s energy crisis occurred during Carter’s presidency, causing gasoline shortages and leaving the American populous clamoring for a solution. President Carter wasn’t sure what to do, either, but he did come up with some commonsense advice to help alleviate the pain: he told Americans to turn their thermostats down. He even set an example for the nation by wearing sweaters all the time. Anyone who has to purchase home heating oil knows that forgoing heat for short periods of time can save money. I have friends who wait until November, or even December, to turn their heat on, all in the name of economy. However, when Carter asked 1970s Americans to do the same, they were outraged. Instead of solving the crisis, it looked like the government was telling them to fend for themselves. Some might argue that people were more angry at Carter than his tip. Maybe it was not the idea of turning thermostats down, but the fact that Carter was telling people to do it that angered them. To the 21st century Right Wing, it probably sounds like a case of big government sticking its nose where it doesn’t belong. Still, whether the president asks or not, an oil shortage would force people to use less oil. All the “real Americans” might accept that sacrifice in the name of independence but, more likely, they would be pissed that their house is cold and that they have to walk to work. People should remember this episode before buying into Republican/Tea Party “small-government” rhetoric. Yes, sometimes government is an inconvenience, but if an oil embargo occurs, who is going to stop it?